Most memories have some kind of emotion associated with them: Recalling the week you just spent at the beach probably makes you feel happy, while reflecting on being bullied provokes more negative feelings. A new study from MIT neuroscientists reveals the brain circuit that controls how memories become linked with positive or negative emotions. 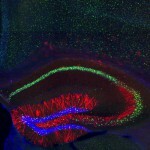 Furthermore, the researchers found that they could reverse the emotional association of specific memories by manipulating brain cells with optogenetics — a technique that uses light to control neuron activity. 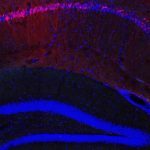 The findings, described in the Aug. 27 issue of Nature, demonstrated that a neuronal circuit connecting the hippocampus and the amygdala plays a critical role in associating emotion with memory. 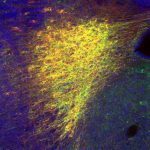 This circuit could offer a target for new drugs to help treat conditions such as post-traumatic stress disorder, the researchers say. 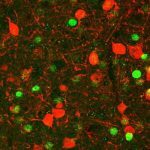 “In the future, one may be able to develop methods that help people to remember positive memories more strongly than negative ones,” says Susumu Tonegawa, the Picower Professor of Biology and Neuroscience, director of the RIKEN-MIT Center for Neural Circuit Genetics at MIT’s Picower Institute for Learning and Memory, and senior author of the paper.